Term of office: 14 month contract, maternity coverage. Beginning May 2019. 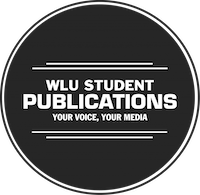 The WLUSP advertising manager sets and implements the strategic direction for the department and all WLUSP advertising sales initiatives. They are responsible for setting in place sales strategies that will regularly increase revenues to WLUSP, in a way that benefits and supports a student run learning environment. They will liaise with department heads to devise strategies to make each department more financially profitable. The ad manager will be responsible for coordinating all ad sales from sales persons, to artwork production, to final placement in appropriate media products and providing clients with run sheets and proof of on air advertising after the fact. The Advertising Manager is responsible for maintaining a client base and soliciting new advertisers as well as liaising with the appropriate managers and editors to ensure client satisfaction. The advertising manager will oversee all advertising staff and volunteers and ensure they have adequate training and resources to complete their jobs. The advertising manager will ensure revenues expectations are met or exceeded and where they do not, devise new strategies to ensure they are. Applications are due by 11:59 pm April 25, 2019. Please send a cover letter and resume in a single PDF to hiring@wlusp.com. We appreciate and will review all applications but please note that only successful applicants will be contacted for an interview.